California State University, Northridge’s Emergency Preparedness Manager Jenny Novak has ensured that the university is prepared for all sorts of emergencies — including a zombie apocalypse. Her hard work has not gone unnoticed. 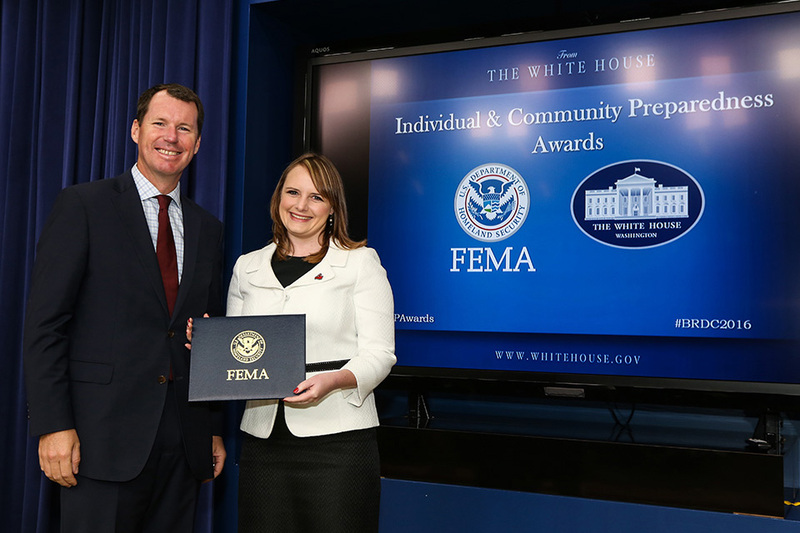 On Sept. 13, Novak was honored at the White House as the recipient of the Federal Emergency Management Agency’s (FEMA) Individual and Community Preparedness Awareness to Action Award, for her work on the 2015 CSUN Zombie Preparedness Scavenger Hunt. 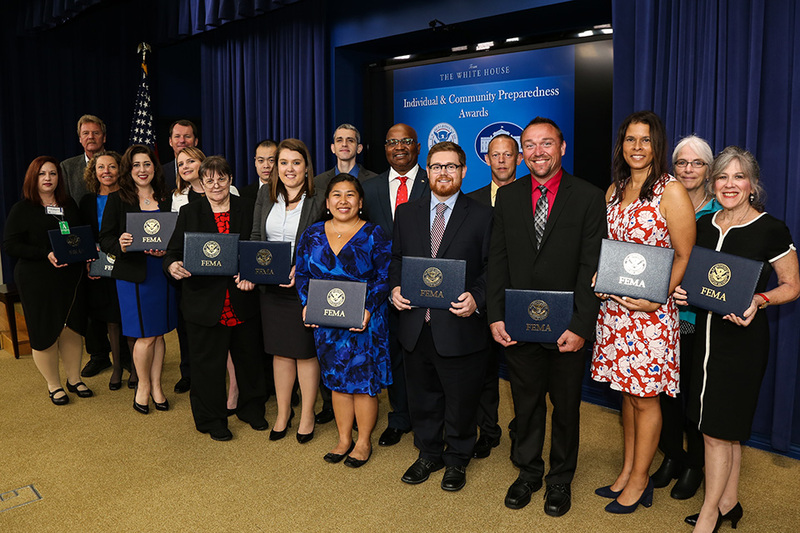 As part of the event, she was able to present her work in front of high-level officials, as well as other universities and community organizations focused on disaster preparedness. 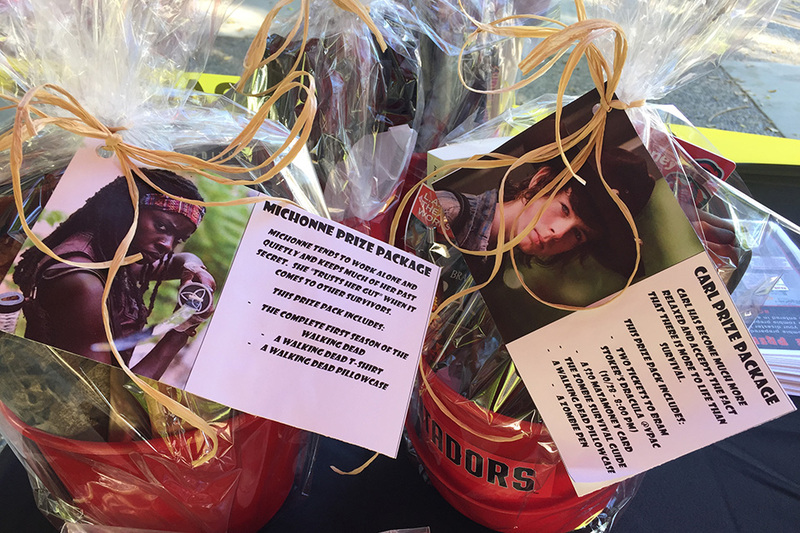 The Zombie Preparedness Scavenger Hunt is an annual event in October where students receive a map and a punch card to visit various areas on campus and gather items for a starter disaster preparedness kit. The kits include a flashlight, rain poncho, bandages and an emergency blanket. Last year, “Zombies” greeted students at the various check points thanks to a partnership with the theatre department’s stage makeup students. Those who completed their kit and returned with their punch card finished were entered in a drawing for zombie-themed prize packs. Novak came up with the idea after seeing the success that the Center for Disease Control had with its Zombie Preparedness site. She teamed up with several departments on campus as a way to raise awareness in the community and allow each department to call attention to their services as well. 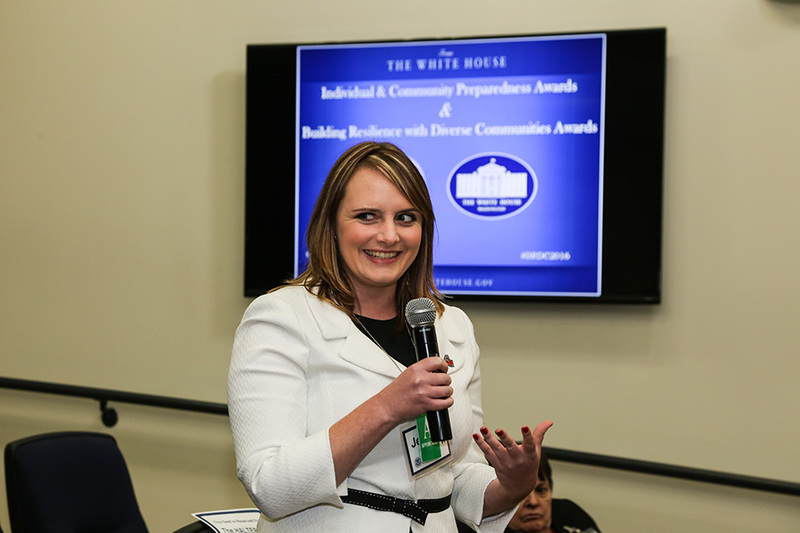 “It’s not just telling people to get prepared, it’s actually cultivating a resilient community,” Novak said, explaining that those with larger, reliable networks are more adaptable in a crisis, which can help bring a more favorable outcome. The CSUN Department of Police Services (DPS) has provided information about the importance of emergency kits at workshops throughout the years, but never addressed the topic in such a manner. The department urges students, faculty and staff to have an emergency kit ready, especially in an earthquake zone like Southern California, said Glavin. More than 350 students participated in the 2015 event. Novak is planning for 500 participants for the 2016 scavenger hunt, and has added some additional campus partners and check-in tables. She is also hoping to add additional zombies, since that was the biggest piece of feedback she received from last year’s event. The Zombie Preparedness Scavenger Hunt will take place from 10 a.m. to 4 p.m. on Oct. 25. 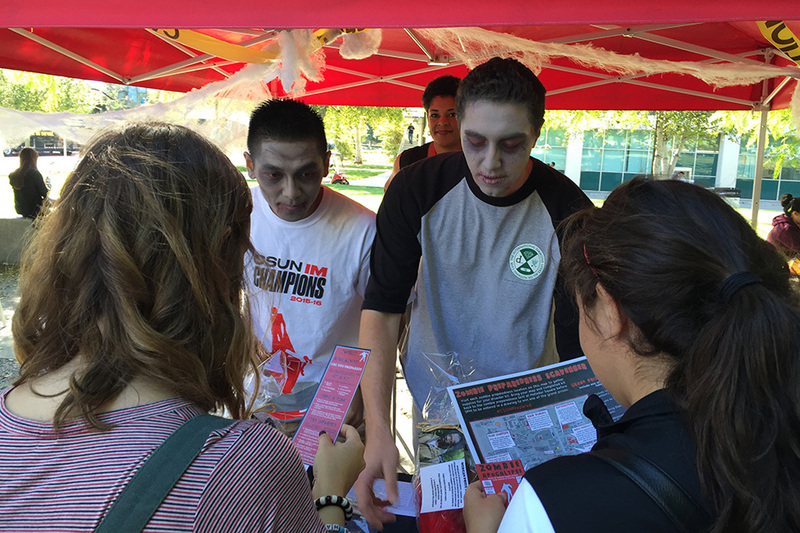 For more information, visit http://www.csun.edu/emergency/zombie-preparedness-scavenger-hunt.